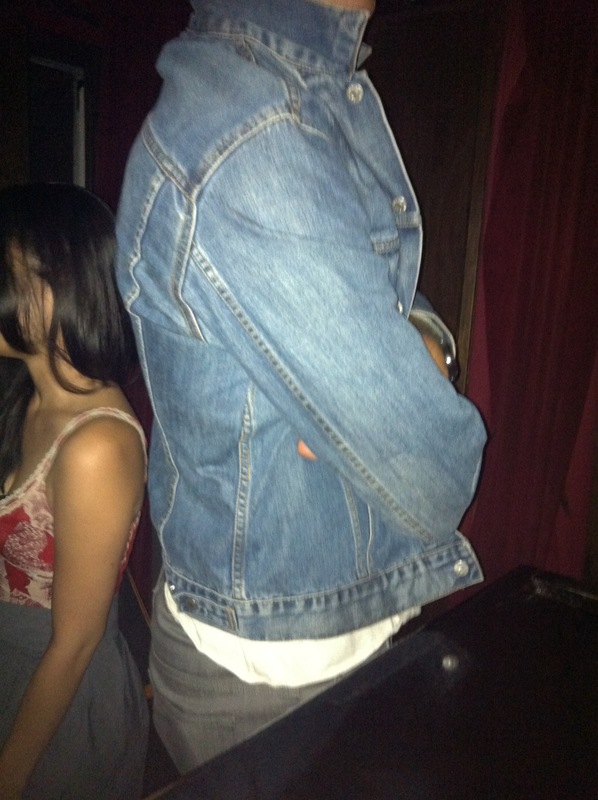 We spotted the denim on denim creation during another amazing evening at my favorite Los Angeles watering hole, The Dime. This guy was looking especially dapper on his 17th date with his lovely lady. He even let us shoot his bum. Cheers! 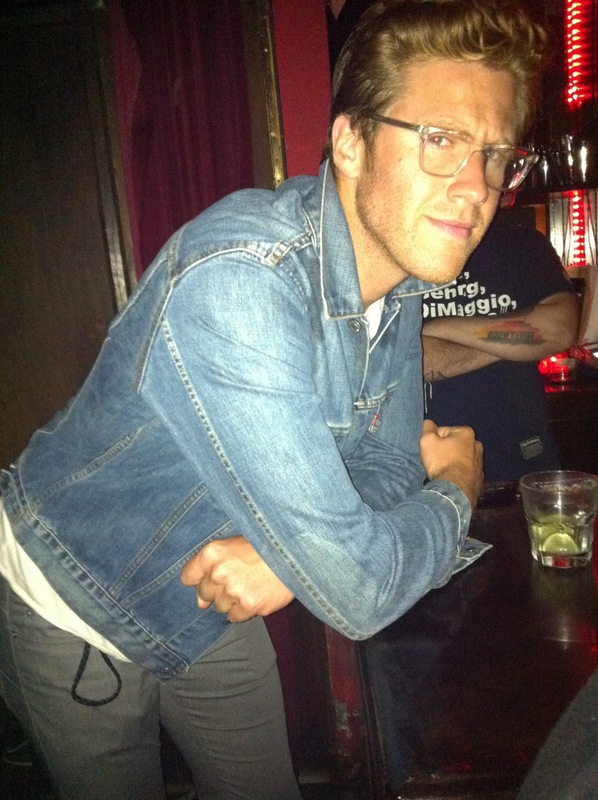 This entry was posted on Wednesday, October 12th, 2011 at 1:47 pm	and tagged with Andy Fiscella, Canadian Tuxedo, Denim, Fairfax, Fairfax District, Fashion, Los Angeles, The Dime and posted in In The Wild. You can follow any responses to this entry through the RSS 2.0 feed.